Get set for some serious fishing! Fishing the rivers and lakes isn’t just about the beauties you bring up from the bottom – the fat freshwater catch of barra, perch, saratoga, cod and yellowbelly, it’s also the thrill of the chase. Going fishing here is the start of big adventures. While you’re at it, you’ll discover the region and get to know all its parts. The people you meet and places you visit will become familiar friends and keep you coming back. You’ll travel the length and breadth of the region. Stop into towns to buy bait and extra kit. Talk to the locals, pick up on the tips and traps. Find your way across steep ranges, down gullies and on boggy bush tracks. You’ll search and find hidden sweet spots along the winding rivers and creeks and quickly discover not all those stories you heard were tall ones. In fact, most of them were true. At the end of each exploit, you’ll be far away from anywhere, under a starlit sky, perched by a camp fire, the spoils of the day cooking over the open flames. In the warm orange glow, now you’re the one telling the stories with your arms stretched wide and laughing about the one that got away. You’ll shake your head as you relish the moment, a broad smile across your face and almost in disbelief say, ‘This is the life’! And the best part of it all, you’ll be right. You might also try saratoga with a piece of steak under a float. Where are the best places to fish? Banana Shire has heaps for fantastic freshwater fishing. 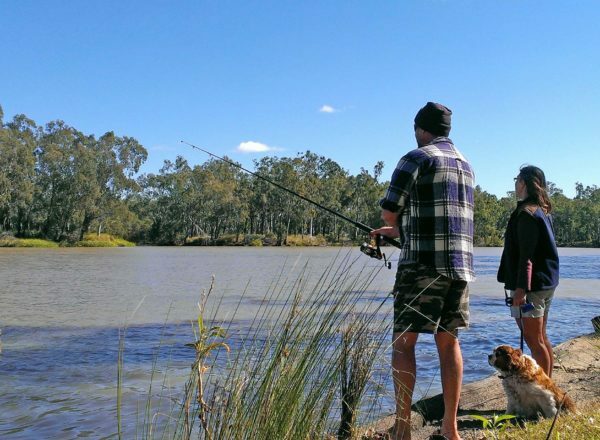 In fact, many believe it’s the best region for freshwater fishing anywhere in Australia. So, take your pick of the fishing adventures you’d like to do and go for it! Situated: 15 km east of Biloela. 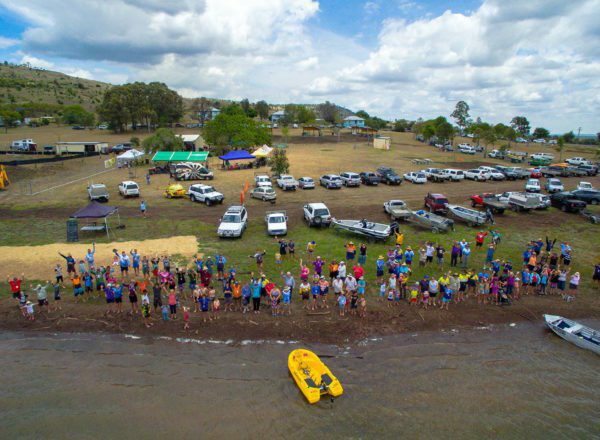 Facilities: Boat ramp, toilet block, picnic tables and barbeques and drinking water in the recreation area. Fish species: Barramundi, golden perch (yellowbelly), saratoga, silver perch, eel tailed catfish, sleepy cod, spangled perch, alligator gar, freshwater crayfish and red-claw. A Stocked Impoundment Permit is required to fish in this dam. Camping: Lake Callide Retreat have powered and unpowered camping available. Situated: At the southern end of Baralaba, on Bedford Street, behind the hospital. Facilities: Toilets, cold showers, picnic tables and shelter sheds. There is a concrete boat ramp. Fish species: Barramundi, saratoga, sleepy cod, eel tail catfish, fork tail catfish, golden perch (yellowbelly), small mouth sooty grunter (black bream), eel, spangled perch and banded grunter. No fishing from 100 m upstream to 200 m downstream of the weir. Camping: Limited camping in a shady recreation area at the river’s edge, but not in the barricaded off area around the shelter sheds. Hot showers available for a donation. Situated: 54 km from Taroom on Theodore Road (Leichhardt Way). Facilities: Bank access and boat ramp, toilets, drinking water and picnic tables. Fish species: Saratoga, golden perch, silver perch, catfish, sleepy cod and spangled perch. Camping: Caravan and camping sites available for $7 per night. Honesty box system. With the Dawson River running wild through the Banana region, freshwater fishing is a huge attraction. Most fishos can’t wait for the chance to get out, off the beaten track and try their luck without another person in sight. 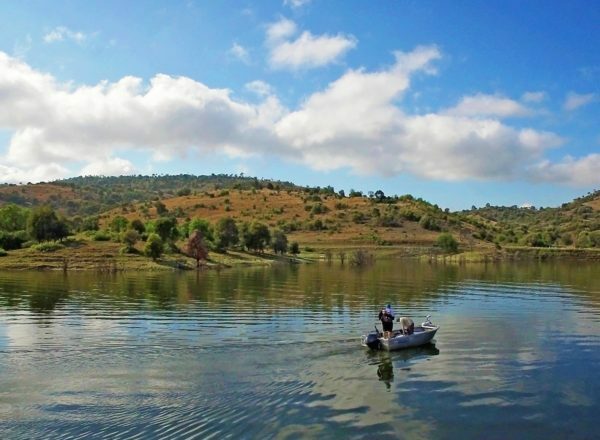 The spots listed below will take you to some of the best wild freshwater fishing in Australia. Situated: 26 km north of Jambin along Australia’s Country Way (A3) and Dooneys Road. Or 24 km south of Dululu along Australia’s Country Way and Dooneys Road. Not accessible in the wet. Black soil. Facilities: Nil. Must be self-sufficient. Take rubbish with you. Fish Species: Yellowbelly, catfish, saratoga. Camping: Free short-term camping available. No bookings required. 7 nights max stay. Situated: At the Dee River Crossing, Dululu, off Australia’s Country Way (A3). Facilities: Showers – see signage onsite. Camping: No camping riverside. The Dululu Rest area is less than 1 km away. Situated: About 14 km off Australia’s Country Way (A3) via Tomlins Rd and Lindleys Rd, travelling north. Situated: 4.5 km east of Wowan via Dee River Rd, Dixalea Deeford Rd. Fish Species: Saratoga, yellowbelly, catfish (catch and release). Camping: Not suitable for camping. Situated: 20 km west of Goovigen along the Goovigen-Rannes Road, turn right onto the Leichhardt Way and then left onto the gravel road less than 1 km from the turn off. Facilities: No facilities: Must be self-sufficient. Take rubbish with you. Camping: Free bush camping. Limited space. Situated: Travelling north along Australia’s Country Way (A3), turn left onto the Goovigen Connection Road at the Fiveways intersection. 3.8 km along the Goovigen Connection Road, turn right onto Lake Pleasant Road. About 3.5 km along on the right is a small pull-off area. The lake is accessed from here. Camping: Limited camping, small area only. Situated: 7 km west of Moura on Dawson Highway. Facilities: Boat ramp, toilet block, picnic tables, barbeque, river water on tap. Fish species: Barramundi, golden perch (yellowbelly), saratoga, eel tail catfish, fork tail catfish, small mouth sooty grunter (black bream), sleepy cod, spangle perch, eel, banded grunter. Camping: 7 nights max stay camping available. Coin operated hot showers. No Power. Situated: At the southern end of The Boulevard (main street). Facilities: Toilet block, hot showers, barbeques, shelter sheds, picnic tables & town water on tap. There is a dirt road to a boat ramp at the mouth of Castle Creek. Fish species: Saratoga, golden perch (yellowbelly), eel tail catfish, fork tail catfish, spangled perch, eel and banded grunter. Camping: 7 nights max stay camping is allowed but not in the barricaded off area. Honesty system and coin slot for shower. Fish species: Saratoga, eel tail catfish, fork tail catfish, golden perch (yellowbelly), sleepy cod, eel, spangled perch and banded grunter. Keep your eyes peeled and you may catch a glimpse of Water Monitors fishing the streams. Camping: This is a camping spot only (not suitable for caravans). Rubbish must be taken away with you. Water levels will vary with the seasons and normally this is a fairly shallow section of the river. Be aware that the water level may rise quickly due to rainfall upstream, so camp on high ground. Situated: About 5 km south on the Roma-Taroom Rd after crossing the Dawson River bridge (on entry to Taroom). Camping: Bush camping. Must be self-sufficient. Go Fish! 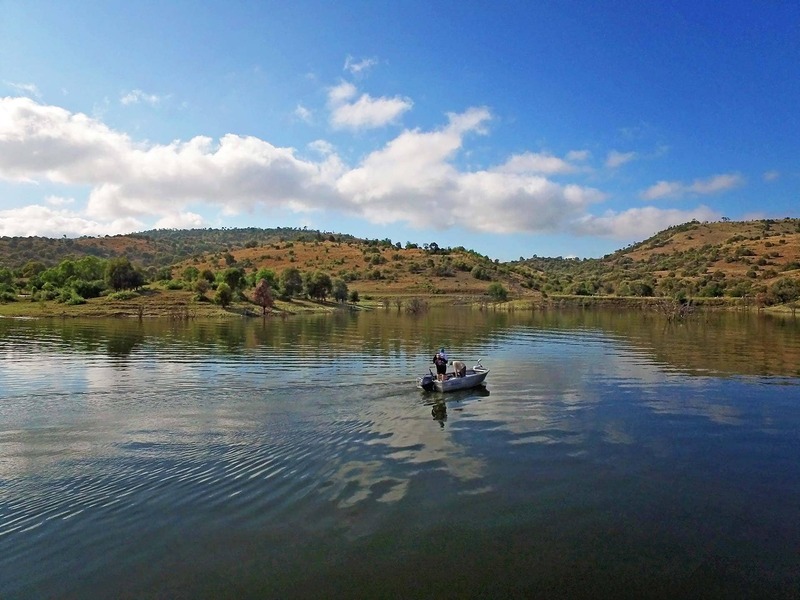 Fishing hot spots in the Sandstone Wonders region – There are many great fishing locations in the Sandstone Wonders but we have highlighted the top 7 for you! Do I need a permit and are there fishing regulations I need to follow? For all the do’s and don’ts on recreational fishing and where to get your permits, refer to the Queensland Recreational Boating and Fishing Guide available from local bait and fishing shops, online at www.daf.qld.gov.au or download the App from Google Play or App store. Rules for freshwater boating also apply. For more information, check www.msq.qld.gov.au or call 13 23 80.